Now currently they have released new platform that is brower. Everyone use browser to surf internet, watch videos and doing various things online. Mcent again back with browser then it is great opportunity to earn airtime and free bill payments for mobile number. Mcent browser is safe and free to use by creating it default user can easily get monthly recharge plans. Mcent browser provide some points by doing activity in mcent browser. Keep increasing activity in the browser then we have more opportunity to earn points, alternatively get instant 100 points on sign up from below link. Want to get started with something new, surf internet and use your social services like before but in new brower that also provide you opportunity to earn airtime. Here are some mcent Brower screenshots to help understand rewarding experience. 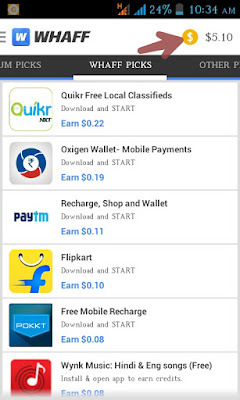 Redeem points as recharge plan for jio, idea, Vodafone, Airtel and other networks in india. Earn more points by just inviting friends and family members to this app. Get more points, referral points automatically added to your mcent brower after each successful invitation. You can also earn up to 5000 points if your invited person uses mcent brower for minimum 5 days. More usage gives extra points. Share your suggestion and review about this app in comment section.